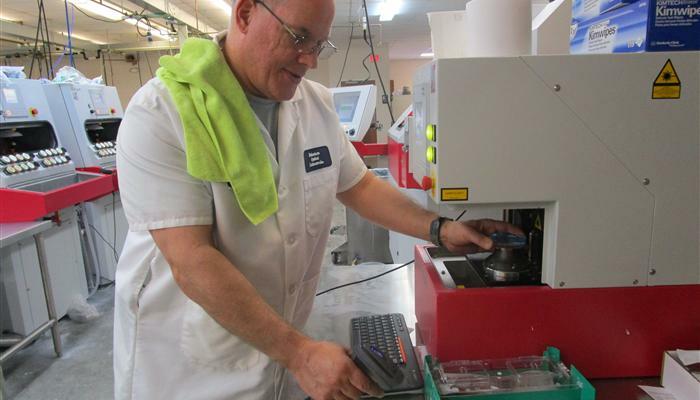 Randy Franklin completes the free-form process using a CCP Swift digital processor at Robertson Optical in Columbia. 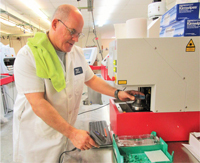 Robertson Optical Laboratories has opened a new digital surfacing lab in Columbia, SC. Since 2009, it has been processing free-form lenses at its other digital lab in Loganville, GA. Now with two digital labs, Robertson Optical Labs can process in-house free-form PALs from Carl Zeiss Vision, Inc., Signet Armorlite Kodak, Seiko Optical Products of America, Inc., and Shamir Insight, Inc., in addition to its own house-brand Cozé.